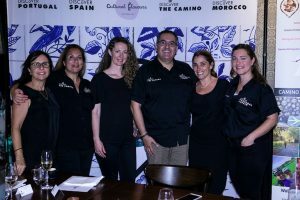 This is the age of specialisation – in travel and many other fields – as Sydney-based Discover Portugal, Spain & Morocco Holidays demonstrated on Wednesday night at the launch of the company’s new travel program to the three countries. 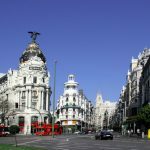 Discover Portugal, Spain & Morocco Holidays is a true specialist. 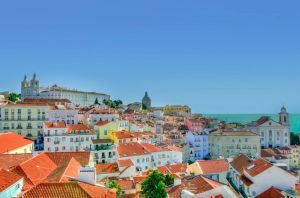 Its director, Gill Gaspar, has travelled extensively throughout Portugal, Spain and Morocco for more than 30 years. 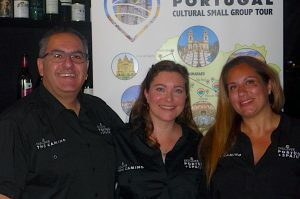 Gaspar has immersed himself in the culture, history and lifestyle of his origins, creating a diverse range of travel opportunities – including bespoke private and group touring, walking and cycling adventures, food and wine experiences, everything Camino, day touring, customised itineraries and much more. Adding to the specialist nature of the company, Gaspar works with a highly skilled team – all of whom have Portuguese or Spanish origins. They combine their ethnic backgrounds or origins with a passion for the countries concerned and a good knowledge of the culture, geography and history that makes them special. These experts have driven, walked, cycled, railed, explored and eaten their way across these three memorable countries. They know them from top to bottom. The result is a dynamic operator with more than 50 years’ combined and proven tourism experience, ready to work with valued industry partners in promoting three fascinating and exciting destinations to the Australian market.